Weight Maven's Beth Mazur has a funky video as part of her piece on facilitating behaviour change. Whole Health Source's Stephan Guyenet on why calories still count (though why we're eating so many more, that's still up for debate). 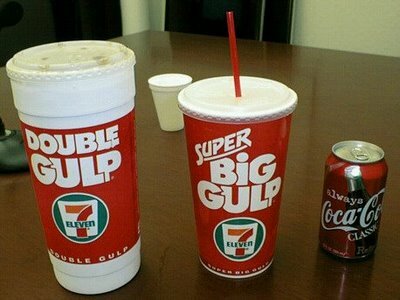 Mark Bittman's brilliant take on the large cup ban in NYC (it's not a soda ban). And a bonus - former Coke marketing exec states he has a large karmic debt to pay for the Cokes he helped to sell.